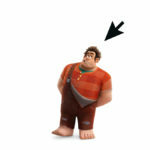 Ralph and Vanellope became best friends in 2012’s Wreck-It Ralph and audiences have not forgotten them in the six years since. 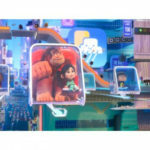 Ralph Breaks the Internet takes place in 2018 and acknowledges the time that has passed between films, telling a story that centers around two close friends who know each other so well that they’ve lost their sense of self. It takes some big risks and dares to be original, telling a different kind of story than its predecessor. When Sugar Rush‘s wheel breaks and Mr. Litwak can’t afford the eBay asking price for the out-of-print game, Vanellope is at risk of losing her home forever. 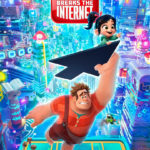 With the arcade’s newest addition of wi-fi, Ralph and Vanellope decide to enter the internet to find eBay and get Vanellope’s wheel. But once there, they discover an exciting world that will test each other and their friendship. The film makes excellent use of the Internet’s unique quirks, but it also follows the first film’s lead with some classic arcade jokes. The Internet is full of Easter Eggs and sight gags, the kind of scenery where you could watch the film a hundred times and not catch everything. It takes something we’re very familiar with and molds it into something new and wondrous. 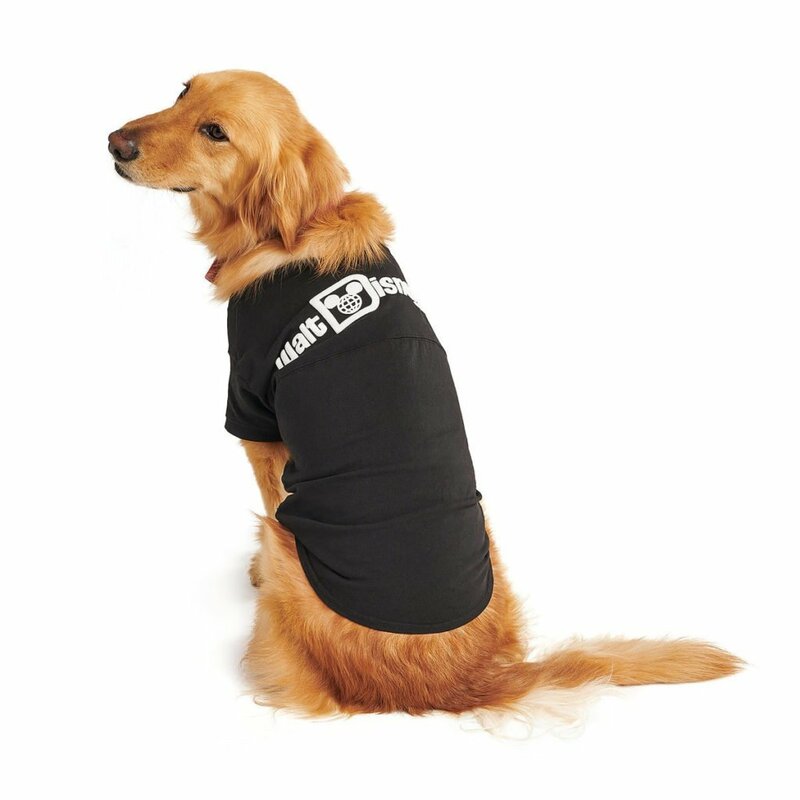 It also attempts to enhance your viewing experience for those seeing the film in 3D with some “Cheap 3D tricks,” as Fozzy Bear would call them. The film has many Disney fan service moments, primarily in the OhMyDisney.com sequence, which includes the viral Disney Princess scene. Your eyes literally can’t process everything that’s happening, but fans should look for some classic Disney animation juxtaposed into the background. Particularly a certain obscure bear whose good with a garbage picker and recently broke the internet with some new body dryers at the Disneyland Resort. Your favorite characters from the first film are all back with at least a little screen time, including Felix, Calhoun, and the Sugar Rush racers. 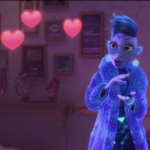 But the film spends most of its energy introducing new characters, such as Yesss (Taraji P. Henson), Shank (Gal Gadot), and KnowsMore (Alan Tudyk). All three make quite an impression and are sure to become fan favorites for a variety of reasons. While the film has a solid premise and wonderful characters, it has a few problems. The first act is surprisingly slow to start and the second act is all over the place with a speed round of character introductions and tonal shifts. The third act becomes a bizarre and drawn-out homage to an iconic and classic film, but the final payoff is nonetheless rewarding. 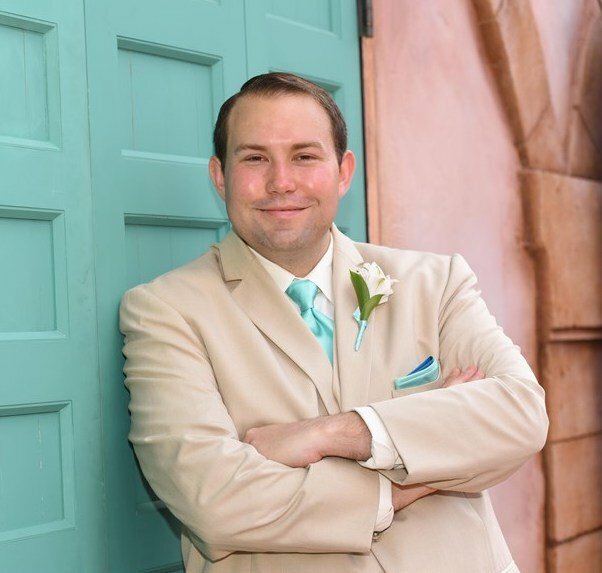 It has the heart and emotional weight that you expect from a Walt Disney Animation Studios film and a message that has rarely been explored before in the Disney classics, the one exception being The Fox and the Hound. 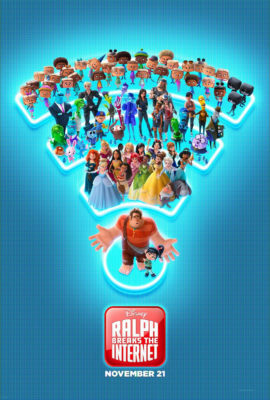 Ralph Breaks the Internet is a fun way to spend time with your family this holiday season. It’s surprisingly emotional, particularly for families who aren’t able to get together as often as they’d like. You’ll laugh, you’ll cry, and you’ll have a deeper appreciation for how the Internet is able to bring us together and create a sense of community that may be absent in our every day lives. Be sure to stay all the way through the end credits, you’ll be glad you did. I give Ralph Breaks the Internet 4 out of 5 pancakes for bunny. 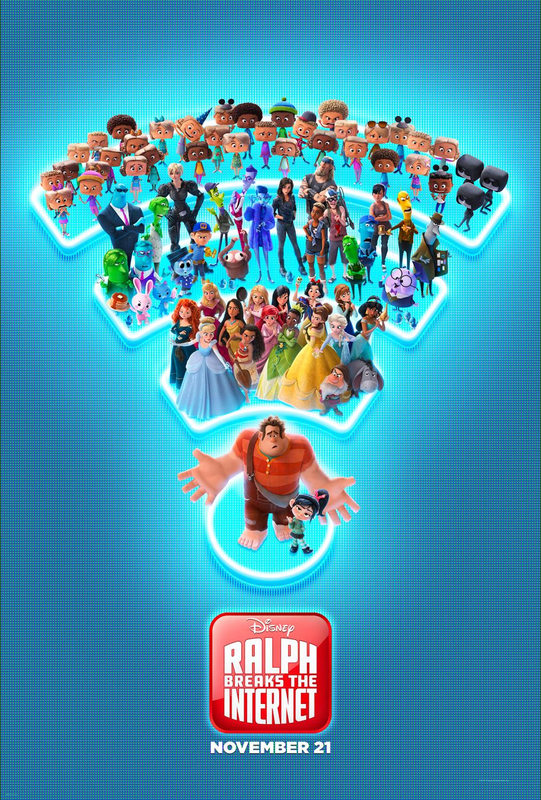 Ralph Breaks the Internet hits theaters starting November 21st.